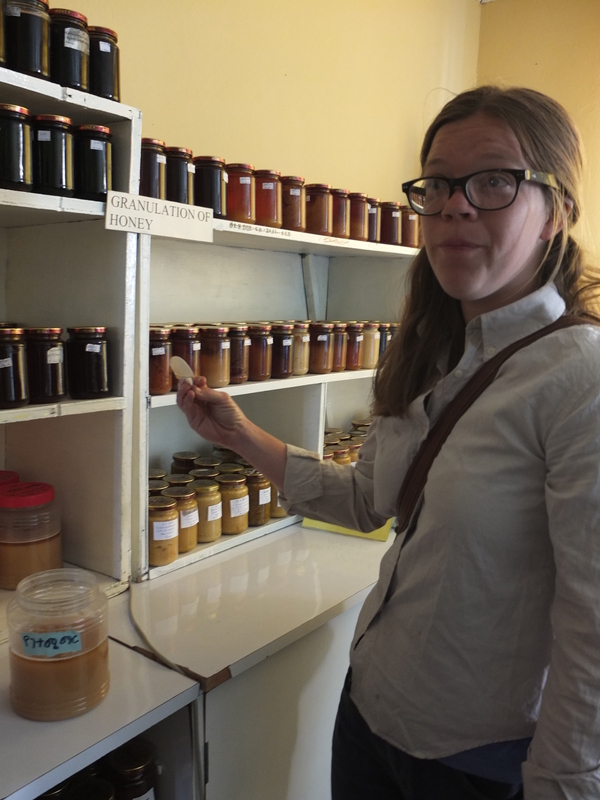 More than a month ago, upon my arrival to Addis, Cien and I had the opportunity of attending a National Honey Board Association conference where we met some very important Ethiopian beekeepers as well as researchers. 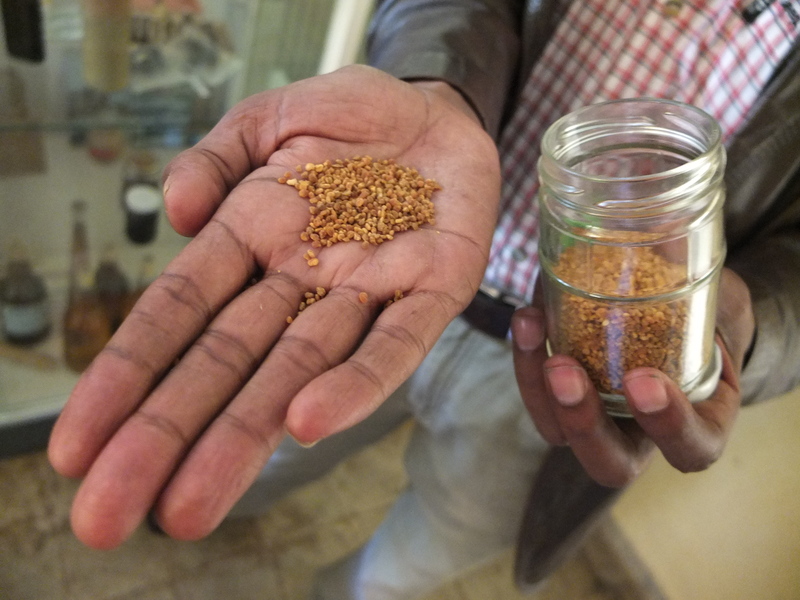 One of those key players is Desalegn Begna, the Senior Ethiopian Researcher, Advisor and President of the Ethiopian Beekeepers association. Having exchanged basic information over our current beekeeping endeavors at the meetings’ coffee break, we met up this past Monday in Addis to assess to the progress of our goals. Having recently returned from Kembata-Tembaro I was eager to share with him the information I had gathered over our community meetings. 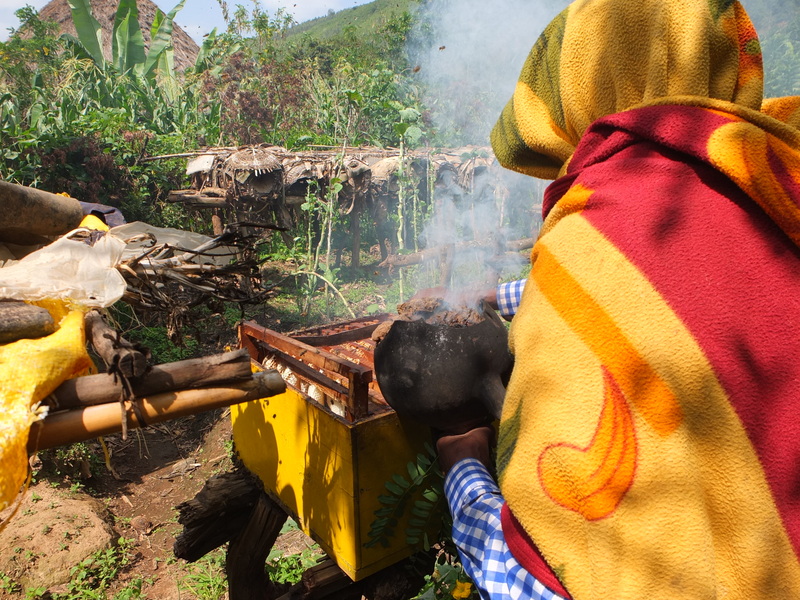 As I have previously mentioned, beekeeping whether traditional or modern is very popular in Ethiopia, leading the country to be the largest honey producer in Africa and the third largest in the world. Wax production, although only fulfilling 15% of its full potential also ranks in the top 4 though out the world. 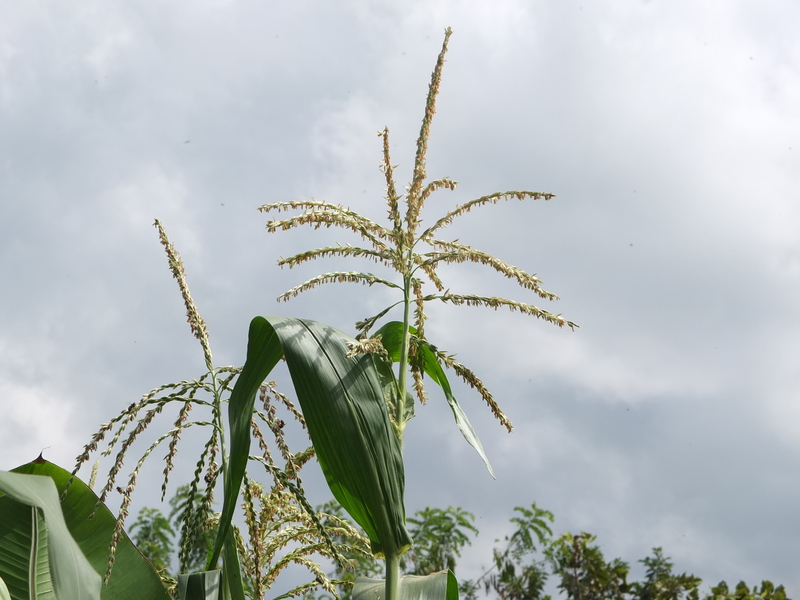 Because of this success, beekeeping and production are heavily recorded across the country, yet the Kembata-Tembaro region of the southwest is statistically untouched. Therefore my general assessment of the Azedabo and Kololo villages is of great interest to the beekeeping community. Over the bustling merchants of the sadist kilo coffee shop, I reiterated my interest in beekeeping for health and nutrition, both bee and human. 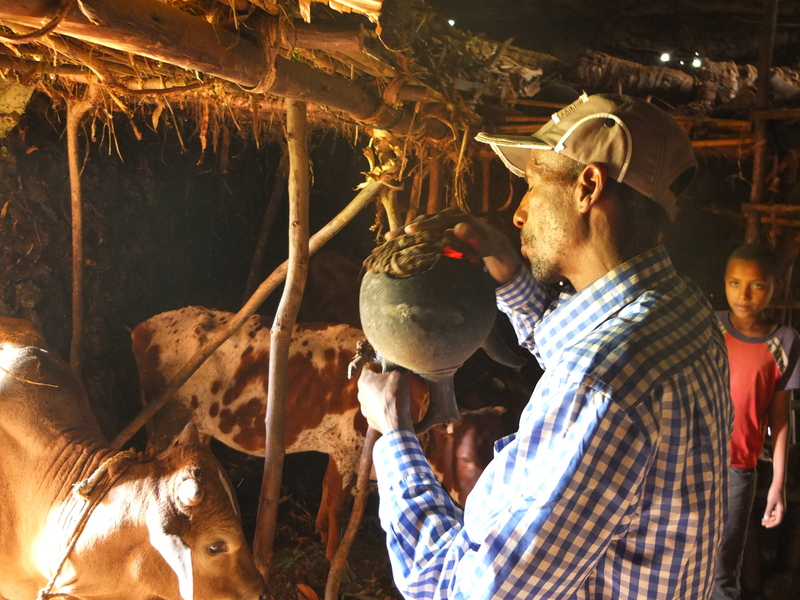 With a PhD in bee biology and years of experience with beekeeping for development work here in Ethiopia, Desalegn was enthusiastic to offer his support and assistance, as well as research supervision of my goals. Of greatest interest is my desire to collaborate with him and his colleagues at the Holeta Bee Research Center, where they investigate as well as develop community appropriate beekeeping methods. Eager to assist Desalegn picked up the phone and arranged a tour at the center for the following day. 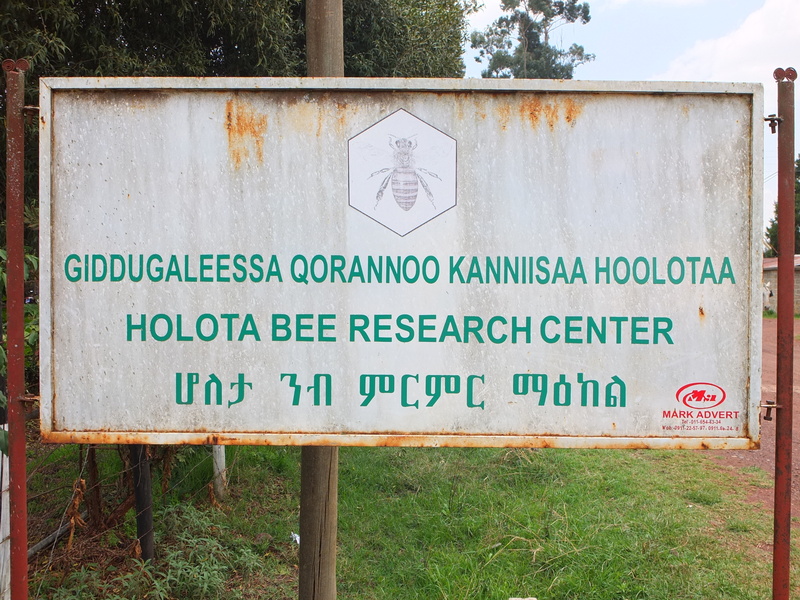 Tuesday April 23rd, Cien, Ashu, our trusted driver Getsh and I, rented a car and traveled 35 kilometers north to the Oromia Agriculture Research Institute where the Holeta Bee Research center is located. Founded as the Beekeeping Demonstration Station in 1965 and later changed to its current name, the center engages in full time research on improved management of beekeeping, bee product handling and processing, bee forage biology of local honeybees, bee health, socio-economic and extension research. 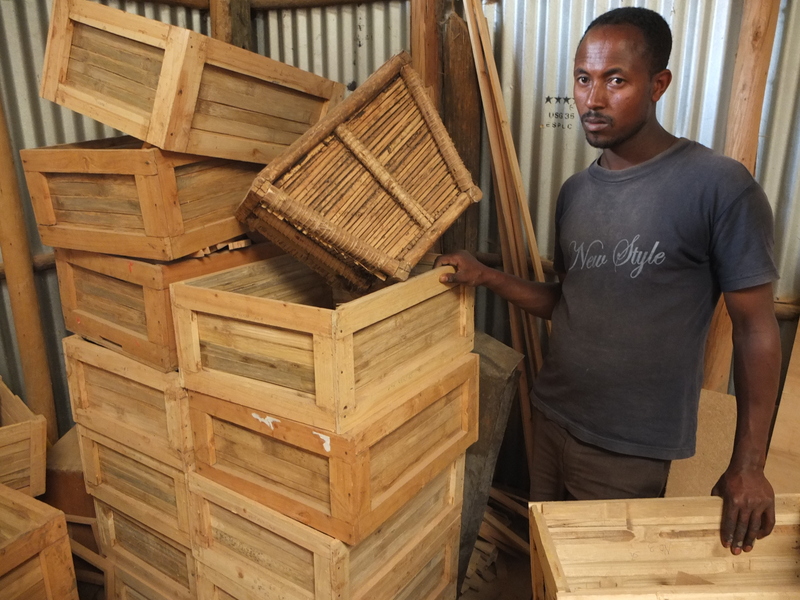 Moreover the center has been producing skilled manpower in the fielded of beekeeping through training beekeeping experts, bee technicians and beekeepers of the country. 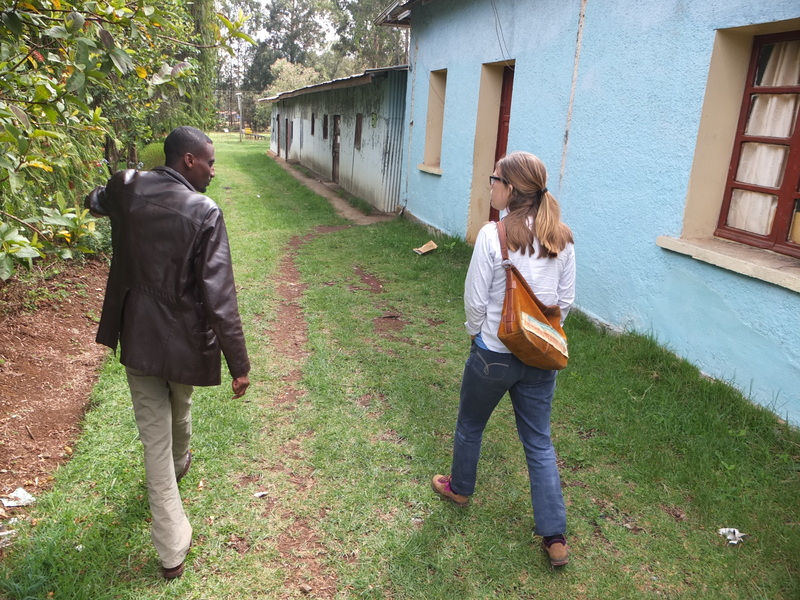 Upon our arrival we were greeted by our tour guide and bee management specialist Tolera Kumsa, and began our 2 hour introduction to the compound. I was again amazed at my good fortune of finding such a bee information goldmine and made sure to gather as much information as possible. However it wasn’t difficult as one of the center’s main goals is focused on transparency. 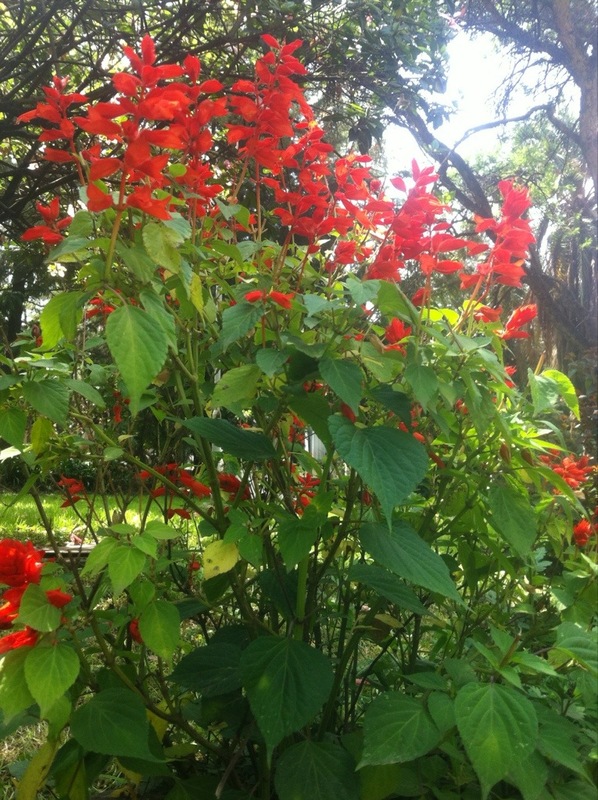 Planted for their year round bee forage benefits, the red bottle brush bushes line the walk ways around the center. Research Areas fill the compound for various investigations taking place. 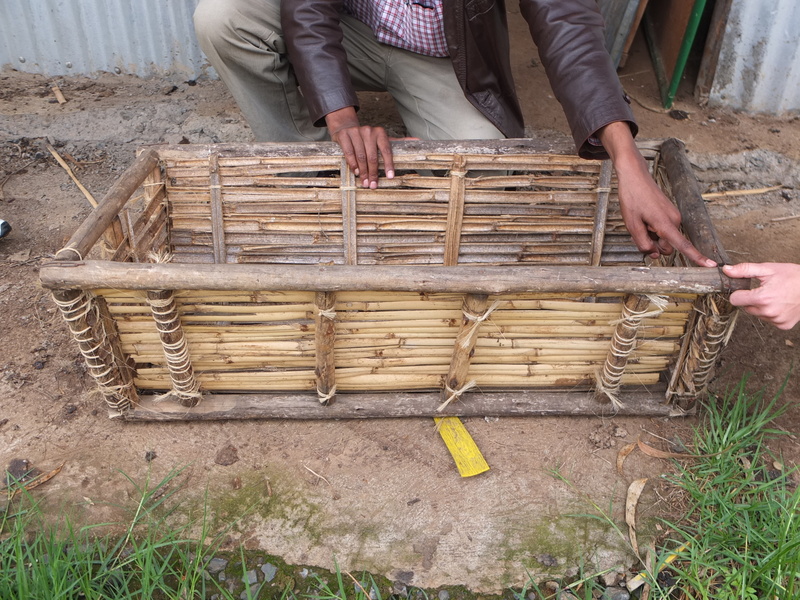 With a Eucalyptus wood frame and bamboo in lays the construction of this hive is not only locally appropriate but very affordable. From local Getame Trees, this honey was outstanding! Pollen was also on hand. Though known for its vitalizing qualities, the product is still locally unavailable on its own. 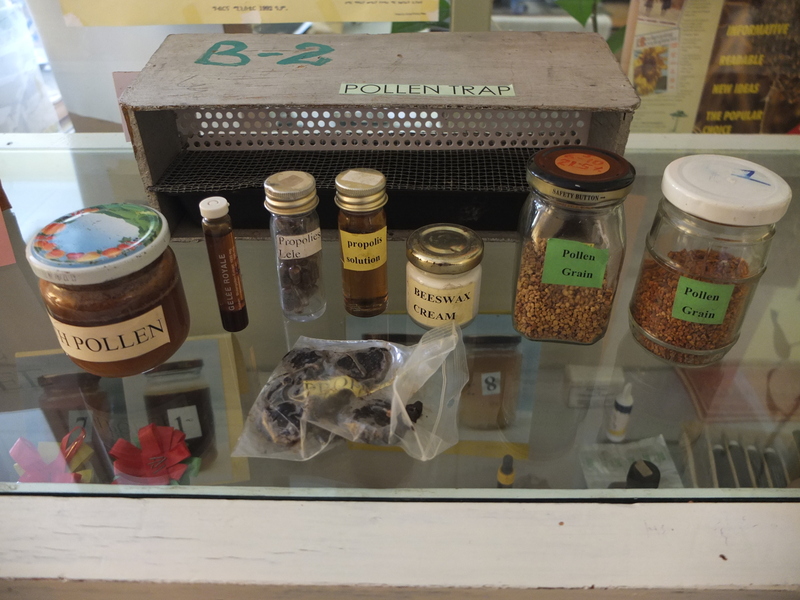 Part of the center is devoted to Flora and Vegetation research Here your see a few of the endemic seeds in which they offer to beekeepers to enhance their nectar flow as well as crop pollination. Modern beekeeping technology is also on hand for research work and we were again impressed by the ingenuity of locally available resources. We finished the visit by visiting with collaborating researchers. All of whom are interested in assisting in our initiative in any way possible. 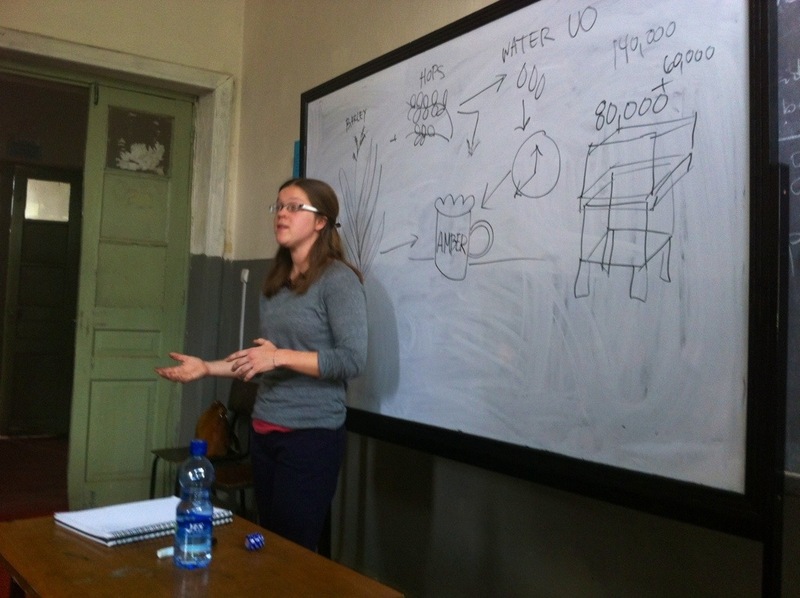 So we’ve been back in Addis since Tuesday, and I can’t help but do circles in my mind about the future possibilities of collaborating with beekeepers in the Kembata-Tembaro region of Southern Ethiopia this coming fall. Our week spent in the south not only introduced me to the communities of people collaborating in the construction of schools led by my brother Cien, but introduced me to the existing infrastructure of beekeeping in the area. Though I only have 2 years of beekeeping experience behind me, my university education as well as time spent studying and experiencing successful community development programs join together to provide me with the confidence in knowing that I am on the right track. 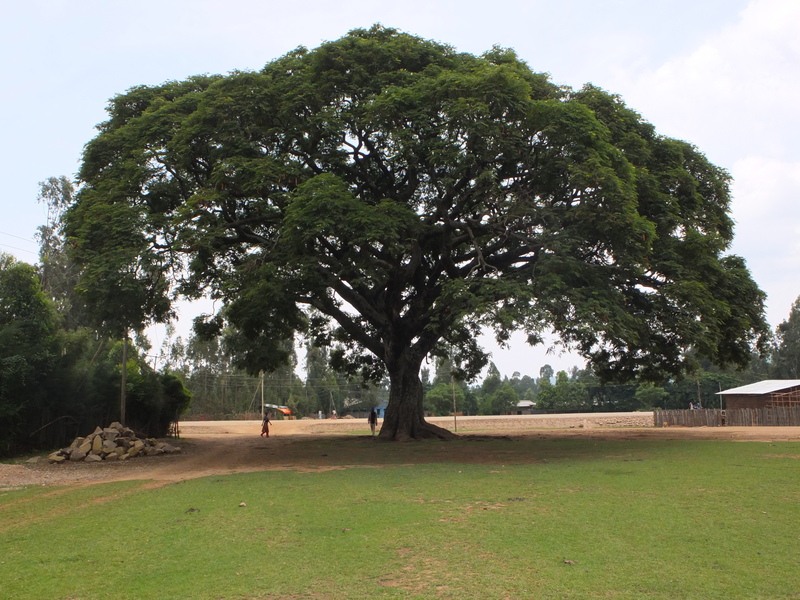 Part of our last day in the south was spent traveling to the small hillside village of Kololo. 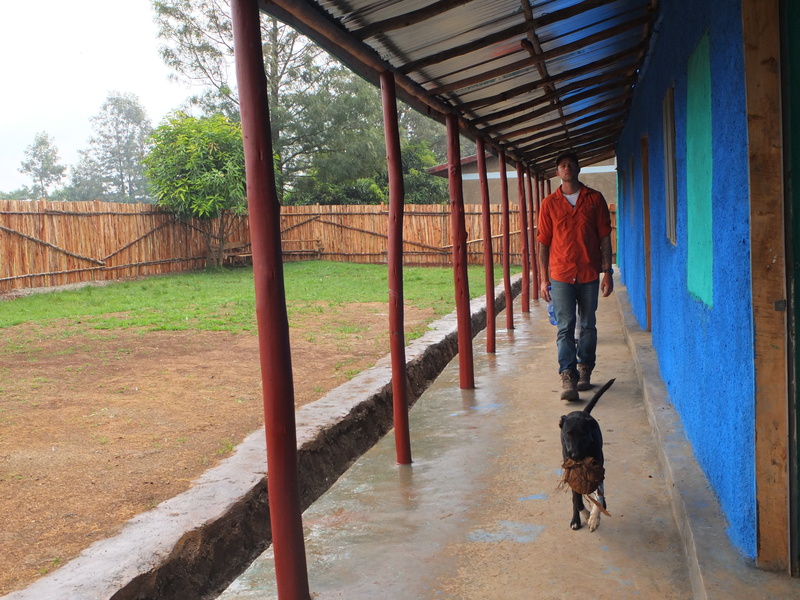 My brother spent almost 7 months in the village from 2011- 2012 constructing a hillside kindergarten school, so we took some time to visit the area, check on the progress of the newly installed school programs, as well as meet with area beekeepers. Due to its hillside location as well as proximity to spring water, the areas vegetation is even denser than that of Azedabo. The family of Salamesh, one of my brother’s school construction team members, took it upon themselves to organize a meeting between myself and area beekeepers for a basic information session. 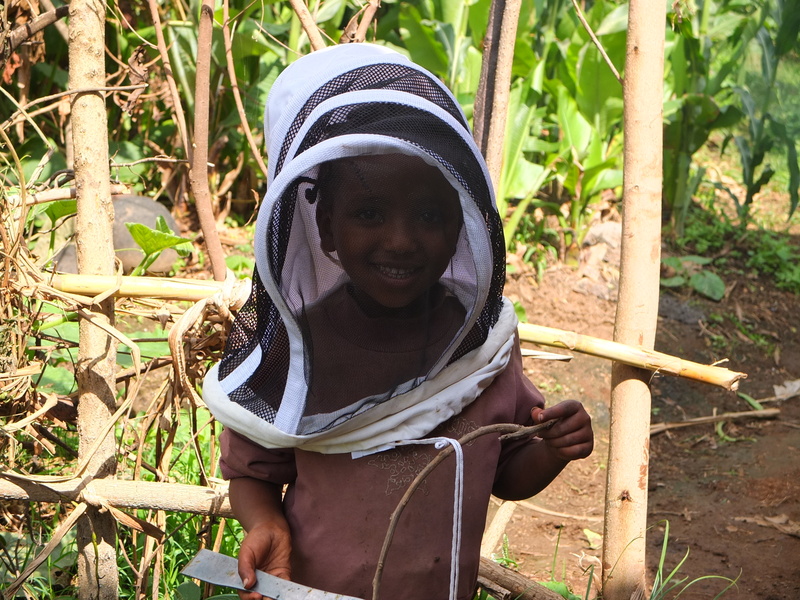 As many of my readers know, my focus for making this trip to Ethiopia has been to gather the necessary information to bring a pilot program focused on enhancing the culture of beekeeping to better favor the health of the honeybee and consequentially the people as well as the communities that keep them. In simpler terms I am working at finding a way of continuing our exchange of beekeeping knowledge to better celebrate the richness the trade offers. Though similar in some regards to the beekeeping meeting held in Azedabo three days earlier, the turnout of beekeepers in Kololo was much greater as well as more diverse. To my satisfaction, women do in fact bee keep in the village, and are looked at as equals to the men. Old as well as young were present, and all were eager to hear what I had to share. From one translator to the next, I introduced myself and my beekeeping background and immediately began to pass around my protective beekeeping gear. I shared with them my experience of harvesting honey the previous day, and stated how the trade could become so much more comfortable with very small changes. Had I not had a similar response during the previous meeting I would have been surprised, as the majority of beekeepers practice the trade as passed down from their elders and really have no idea of the logistical side of things. Basic concepts of protective gear, hygiene, as well as bee nutrition are non-existant. 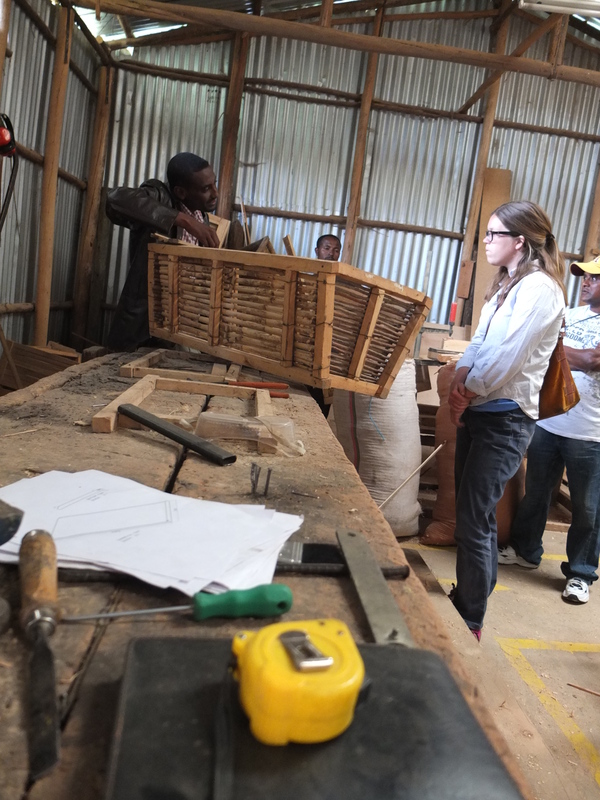 After drawing up and explaining a bit of the benefits of transitional top bar style bee hives as well as modern closed panel style hives, I could tell through their inquisitive stares as well as further questions that basic concepts were being understood. An elderly man even spoke out and thanked me for calling him a beekeeper, though the money he earned to send his children to school was made by the sale of his honey, no one had ever recognized him as such. We finished the meeting by asking the beekeepers of their interest of transitioning to transitional and or modern hives and received a unanimous response. Though they repeatedly thanked me for taking the time to educate them in the most formal class on beekeeping they had ever received, I am certain I took away more from the encounter than they did. So with just over 2 weeks left on Ethiopia I continue to work towards gathering all the necessary information to make my return this coming fall possible. 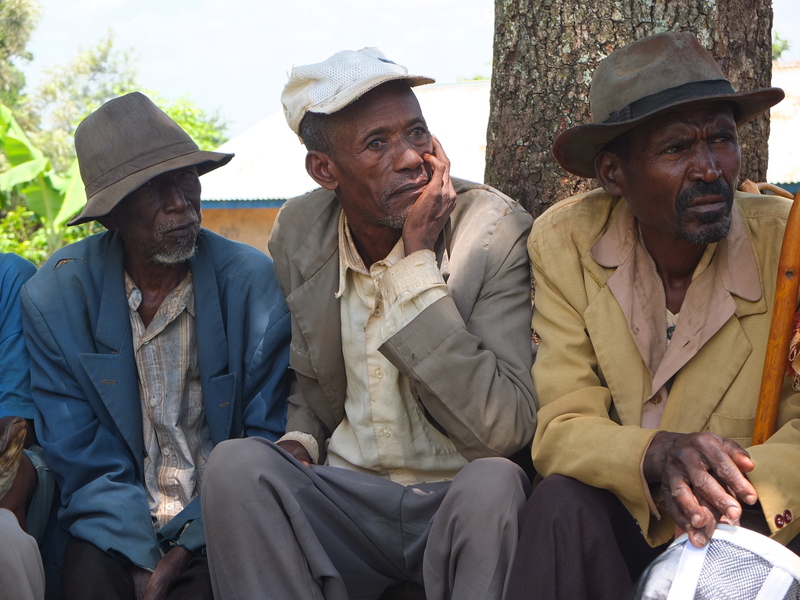 Our Motorbike Apiary visits turned into a Friday morning community beekeepers meeting in Azedebo, Kembata-Tembaro, Ethiopia; thus we had the opportunity to exchange a bit more information with a handful of beekeepers in the area. Via my translator, Ashu, we began the meeting by thanking everyone for coming and joked how beekeepers are usually dependable for showing up on time, saying a lot especially being that we are in Africa. They chuckled and we rolled into the information session. I introduced myself as a beekeeper from Spain, who studied queen bee rearing and by using modern hives focuses on healthy beehives carrying forward strong health to humans. From English to Amharic, and then to tembarenyan the local language, it seemed as though the introduction got across smoothly as I received a few big smiles in return. They were clear to inform me that women do not practice beekeeping here, traditions are strong and the men even say that due to the physical aspect of the work, they cannot partake. (Though after opening a hive with a local beekeeper two days following our meeting, I can better understand why no one would want to physically partake in beekeeping.) So as it seemed I gained their respect I continued with my question. “How does beekeeping affect you and your family’s life socially and economically?”, I asked. With a quizzical look Marcos, the same beekeeper that would later invite me to his home for a honey harvest, began to tell me how community members, especially farmers, feel that bees’ work is part of nature and therefore money should not be made by them. Consumers constantly ask for cheaper honey prices, and after Marcos chatted with the others they collectively explained how in general farmers don’t realize the necessary pollination work that the bees provide for their crops nor does anyone understand the work that actually goes into beekeeping and honey harvesting. One kilo/ 2.2 pounds of raw honey, mashed up, wax honeycomb and all, is sold to a middle man at the market for 60 Ethiopian Bir. Traditional hives in the area typically provide 2 kilos/4.4 pounds of honey 3 times a year, which leads to 6 kilos/13.2 pounds of honey. One US dollar equals 18 Bir or one Euro equals 23 Bir, therefor according to this groups accounts a beekeeper in Azedebo makes 20 US dollars or 15.65 Euros, per hive per year. When I stated how beekeepers using modern hives could harvest over 60 kilos or 150 pound a year they once again smiled and laughed. However I wasn’t there to sell them a modern hive, I’ve found out that it’s been done before, in 2002 in fact, by an organization by the name of World Vision.Long story short, According to the beekeepers the organization provided a select few beekeepers with the standard box style, framed comb beehive, very little education, and no withstanding infrastructure nor support. 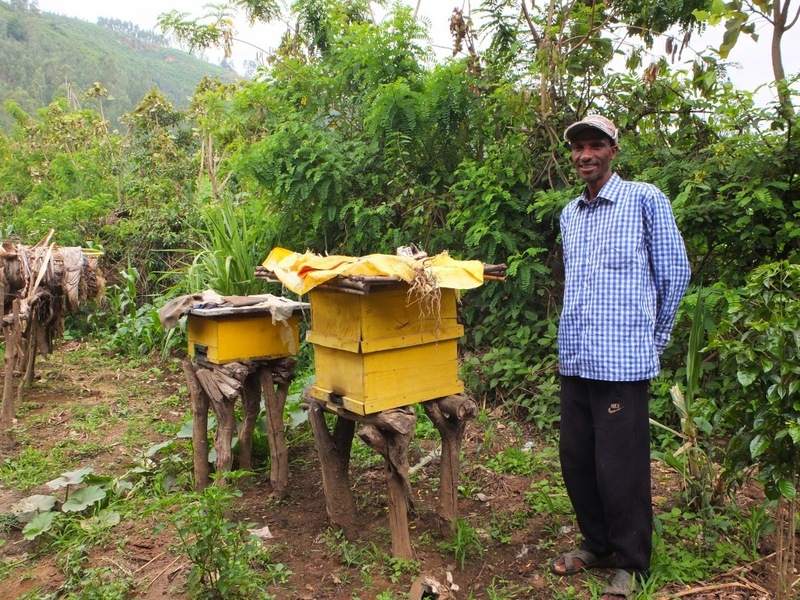 While a few have the wooden beehive, they lack the resources to carry forward with the method with confidence. I finished the meeting by sending around a chunk of propolis. Upon their first whiffs I could see that the beekeepers recognized brown sticky bee resin but couldn’t place it. 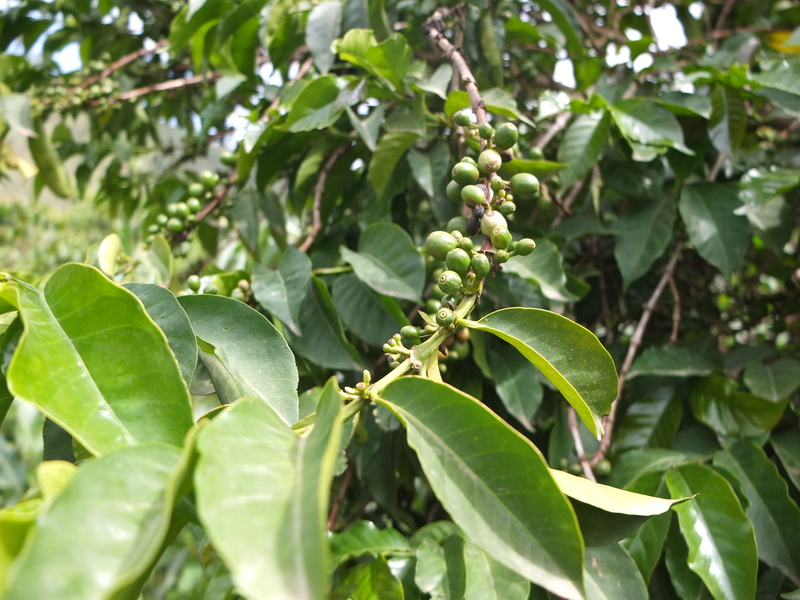 I told them a bit about the medicinal qualities of the product as well as my personal interest for harvesting the product in the future, and they all agreed that it was a worthwhile endevour. 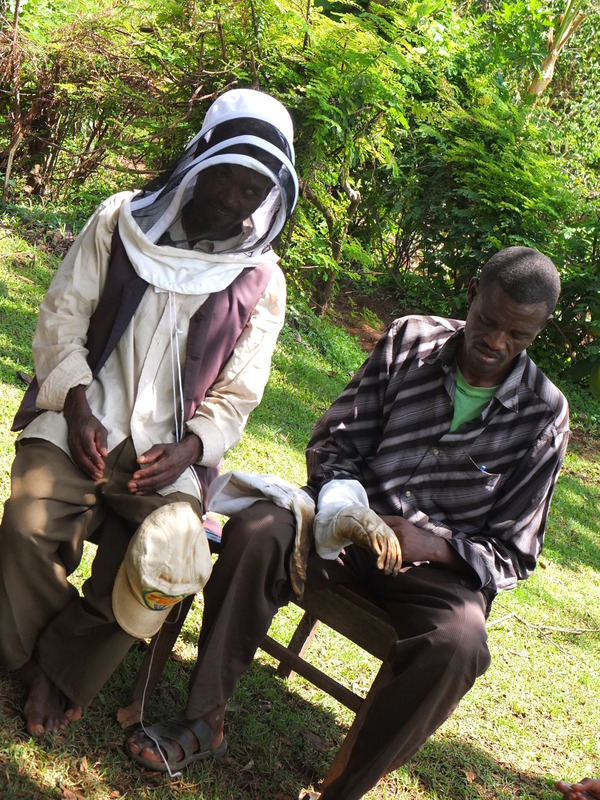 However, being that none of them had even seen protective face gear before, the beekeepers group in Azedebo also agreed that they had alot to learn in order to meet the full potential for beekeeping in the area. As I jumped on the back of a motorcycle this morning here outside of our temporary home in the jungle paradise of Azedebo, I couldn’t feel more in my element. We only arrived yesterday afternoon, and I have already had my first contact with traditional beekeepers in the area. I couldn’t have done it myself though, and have Ashu, an extended Minneapolis family member so to speak, as well as Sigamo, my brother‘s local father figure to thank. Sigamo is very well known in the area so as we pulled up to the door, on our seperate motorcycle taxis, of local beekeepers who were more than happy to introduce us to their hives. I haven’t taken my head out of the trees since arriving, and this morning was no different. 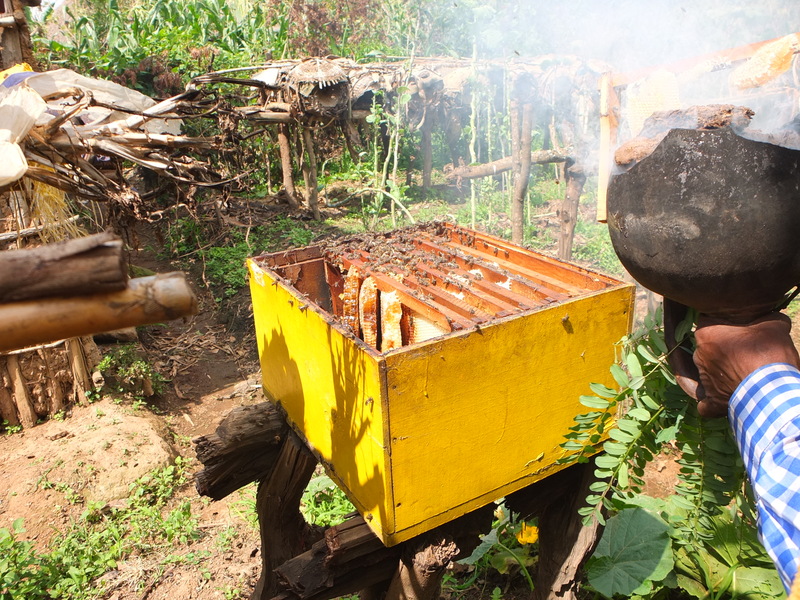 Each of the apiaries, placed behind the home of their owner are smack dead in the middle of an uncountable variety of acacias, banana, mango, avocado and coffee trees, as well as corn and the local teff grain. We visited three beekeepers and their families, and each of the owners walked me straight to the hives so I was able to see firsthand what their style of beekeeping entailed. Made from woven bamboo these light weight cylindrical baskets were buzzing with action, especially on a cloudy and cool morning. Thanks to my friends and translators I was able to ask them a few questions in order to better understand what was going on. Using this traditional method a women speaking for her beekeeper husband, said that they are able to collect 2 kilos of honey from each hive each month. Working during the night while the bees are resting, and therefore more docile, they smoke out the hives to rid the majority of bees and break off as much honey comb as possible. Because the fauna is dense and there is practically always a flower to visit, the bees are able to rebuild their honey combs in a matter of weeks. Just in time for the next months’ harvesting. As my brother went away to Kenya, for a bit of ultimate frisbee playing and some well deserved beachside relaxing, I stayed back in Addis and spent the last week assimilating the best way I know how. Every day I walked a bigger circle around our humble little neighborhood, acquainted myself with the neighbors, explored the shops with all their curiously practical products and commuted by public transportation (continuously surprising myself to my success of arriving to the desired neighborhood, despite not always understanding what was being shouted out the vehicles sliding doors). 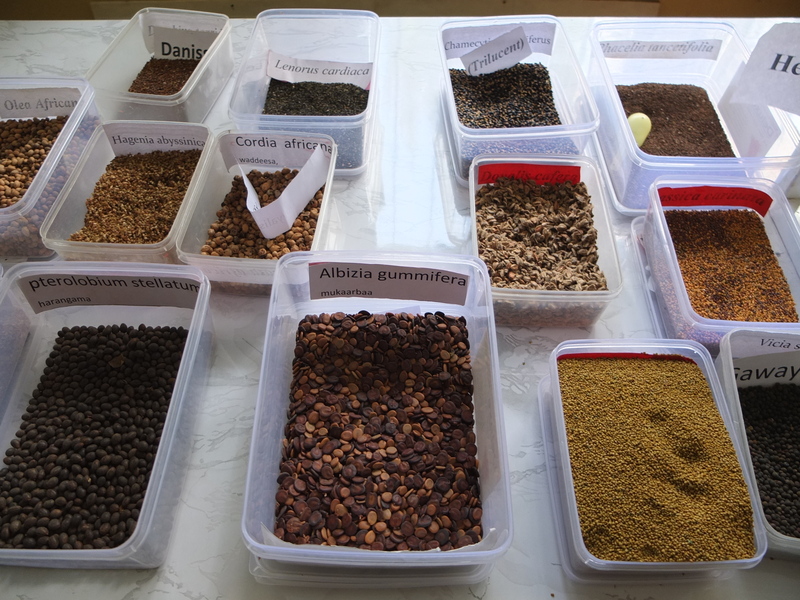 With only 10 days of ethiopian immersion behind me I’m feeling every day more prepared for all of which is yet to come. 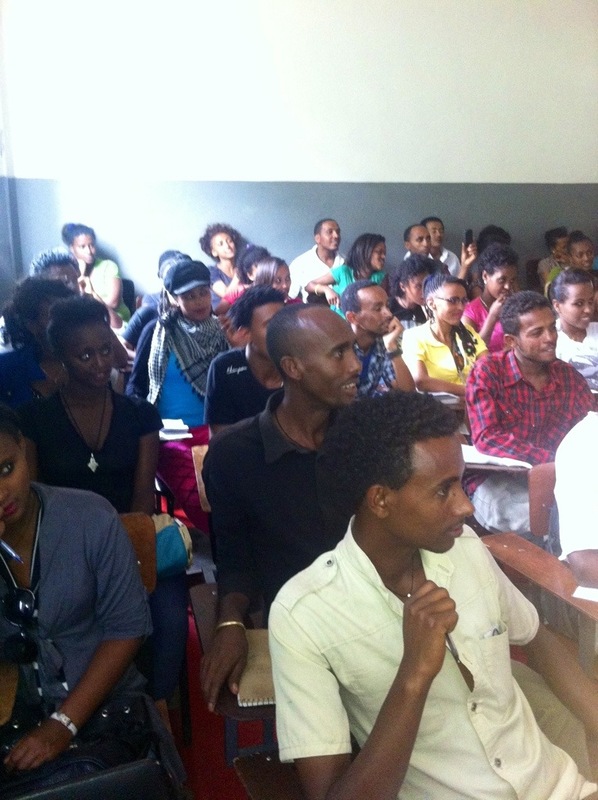 My time this past week in Addis was also spent familiarizing myself with public education here in the city. I had the opportunity to visit Ethiopia Reads’ sponsored kindergarten -3 school located in a economically disadvantaged area of town where they focus on reaching out to children who otherwise would be filling the immediate economic needs of their family by working on the streets, rather than investing the time into their education. Though unidentifiable from the outside the kids filling the 4 room school, (3 classrooms and library), were filled with an excitement for learning that followed me back home. So much so, when asked the following day to speak on the importance of working together to a colleagues class at a local college I put a speech together in the same way the Mercato school kids presented to me their favorite “teret, terets”, spoken word stories. For just under an hour I elaborated on the fact there are really only a few things that we actually do alone. If they brushed their teeth and made their bed in the morning I congratulated them on their independence, and then rolled into the manufacturing of a many’s favorite drink. From the preparation to cultivation of the barley used to make beer, the work is best done with team collaboration. Hand, animal or tractor the work is best achieved when divided and distributed amongst the people. Cooperation creates efficiency and over time saves literally a lot of back pain. The classes’ attention was maintained as I flowed into a example of the democracy demonstrated by honey bees in their decision making. When choosing a new home, the marvelous insects debate through their differences through a series of dances, and the community of 60,000 or so arrive at a common goal. Concluding that the shared decision of a group is always more powerful than the decision of even the wisest individual, the class finished by asking a multitude of bee related questions, all of which I did my best to explain. So with the school visits behind me, and a head full of new Amharic phrases I am officially ready to get down to business. I’ve tasted more than a handful of tasty honeys since arriving but without knowing which flowers the honey making nectar comes from I am left with a wandering curiosity. So this coming Monday we are hitting the road and heading south. My brother, ER staff members and I will be spending 10 days in the communities of the last school builds where we will be celebrating the completion of the construction as well as meeting with local beekeepers, agriculturalists, and health care workers as we asses the implementation of our pilot project this coming September.